A question often asked is “which resort on Tenerife would suit me best?” Unless you know someone and their preferences well, it’s an impossible question to answer. Before we decided where to set up home on Tenerife we travelled around the island staying in various resorts to see which rang our bells. After we moved to Tenerife and started writing about the island for magazines, newspapers and travel websites, we continued to stay in hotels and have built up first hand experiences of what it’s like to spend time in most places on Tenerife. We’re not in the business of selling holidays, so our opinions are purely based on our own preferences. I know weather plays an important factor, but the weather all around Tenerife’s coastline is good all year round so I’m not going to dwell on ‘what’s the weather like?’ we’ve answered that one many times before. Instead this bite-sized guide is a snapshot designed to give a flavour of the most popular towns and resorts around the island. This small, traditional coastal town in the south west of Tenerife was given a tourism boost when the luxury Gran Melia Palacio de Isora was built next to it a few years ago. It’s still a Canarian town with some charm rather than a resort and therein lies its strength for us. What the holiday companies say: Alcala, a fishing village with a pretty main square. For its size there is a decent selection of good restaurants including traditional, seafood, tapas and contemporary cuisine. 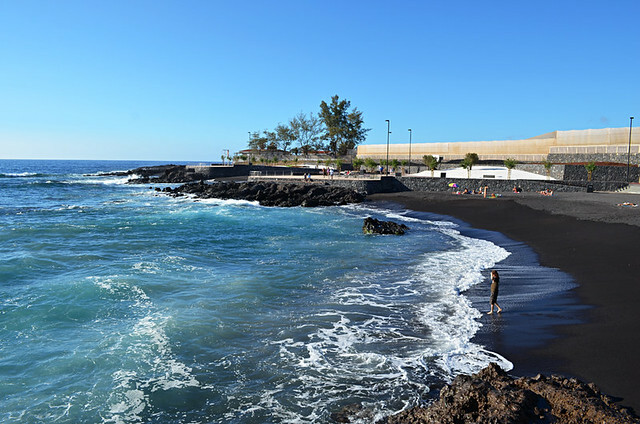 In recent years the Gran Melia has supported the development of the town’s black sand beaches which means although not a typical ‘beach resort’ there’s more of a choice than there was. Outside of the hotel nightlife is low key and local except when there’s a fiesta. A small purpose built resort in the south west which doesn’t really have a strong personality one way or another. Callao Salvaje is suited to anyone who isn’t too bothered about beaches but who wants a quiet resort area in which to enjoy the sunshine. What the holiday companies say: Once a small village, the resort has recently undergone huge developments and the accommodation and amenities available to tourists are of fantastic quality. There’s a good selection of decent but not outstanding resort restaurants, but not a choice for anyone seeking a memorable gastronomic experience. 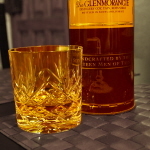 Nightlife centres around a few bars mainly aimed at British visitors. Although a beach was built relatively recently, Callao Salvaje isn’t really what you’d think of as a beach resort. 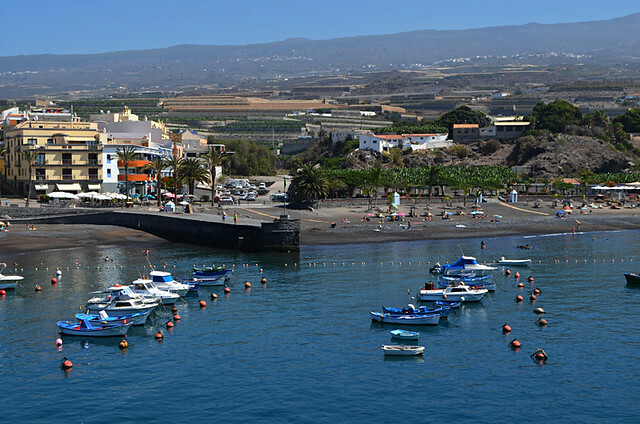 Although an umbrella term for the Adeje coast, most people know Costa Adeje as the biggest resort area on Tenerife. It consists of a number of areas with distinct personalities – ranging from cheap and cheerful to upmarket and stylish. Nearly all are purpose built so it’s an area for people looking for a sunny beach holiday with all the resort amenities rather than traditional Tenerife. What the holiday companies say: Holidays to Costa Adeje are all pristine beaches, smart eateries and first-class boutiques. Plus, you’ve got party-hard Playa de las Palmas next door. NOTE: I’m sure they meant Playa de las Américas. There are masses of restaurants aimed at tourists. You can eat your way around the world in Costa Adeje, although good traditional restaurants are few and far between. In our view some of the best food in Costa Adeje is found in its luxury hotels. There’s a good choice of long, sandy beaches with plenty of sea based fun to be had. Mixed. 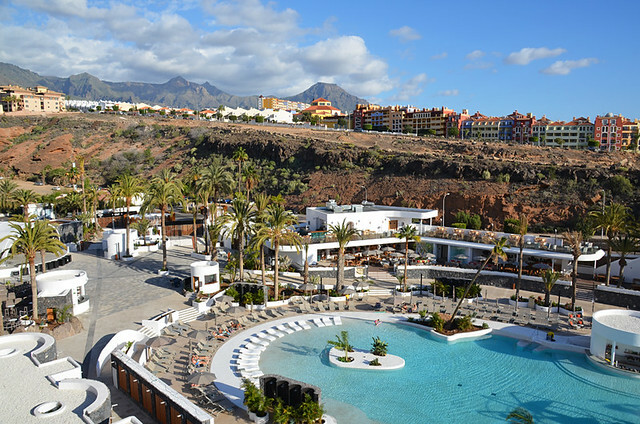 The more upmarket areas of Costa Adeje can be relatively quiet whereas further south towards Playa de las Américas there are clubs, live music and karaoke bars for lively holiday fun. 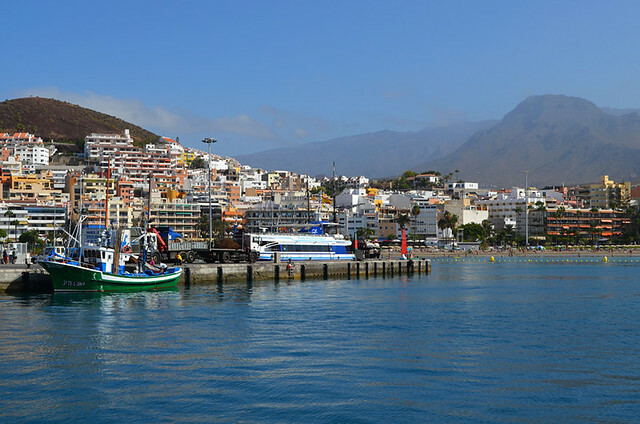 Once a small fishing community, Los Cristianos in the south of Tenerife is now more resort than traditional town. But it is one whose roots haven’t completely been eroded and subsequently it still feels Canarian in parts. It is quite big but doesn’t really feel it and is one of the few resort areas in the south of Tenerife which has a flavour of the Tenerife that exists outside the resorts. It’s also a good base for exploring other islands like La Gomera. What the holiday companies say: A century ago Los Cristianos was little more than a sleepy fishing village. Now, thanks to a swanky new harbour built in the 1970s, it’s one of the busiest ports on the island. Loads of choice with a good mix of traditional and international cuisine. On the surface, nightlife is aimed at more mature visitors and might feel low key to anyone looking for a place to party. But there are some lively local bars which don’t liven up until late. 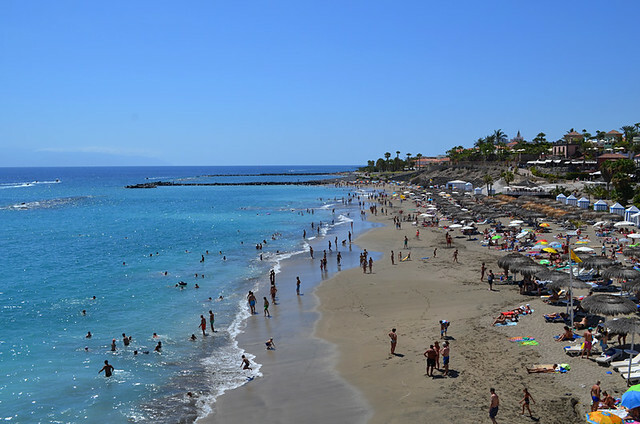 Los Cristianos boasts what a lot of people consider to be one of the best beaches on Tenerife in Las Vistas. 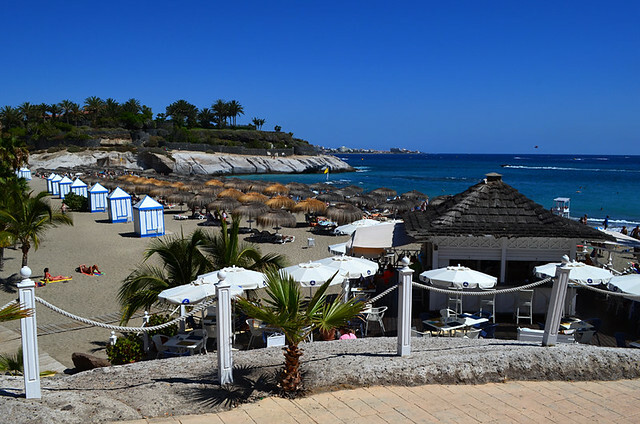 The town beach overlooking the harbour is also above average compared to many other beaches on the island. The sunny Tenerife resort with one of the most outstanding views – La Gomera and the cliffs it was named after – was built in the 1970s to attract mainly British visitors. It’s a resort which appeals to visitors wanting a sunny base with a small town ambience. It is purpose built, but it has also embraced local traditions such as carnival. It’s a good base for exploring both the south and popping across to the north coast. 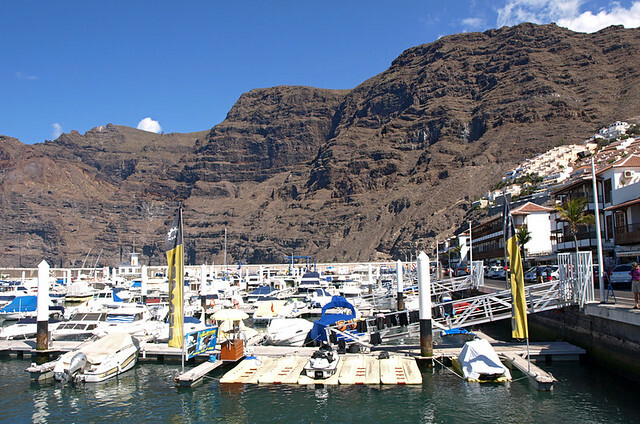 What the holiday companies say: Los Gigantes is a pretty seaside town on Tenerife’s southwest coast – it’s nestled into the rock face, with the dramatic 300-metre cliffs called The Giants running off to the north. Life moves at a leisurely pace here. 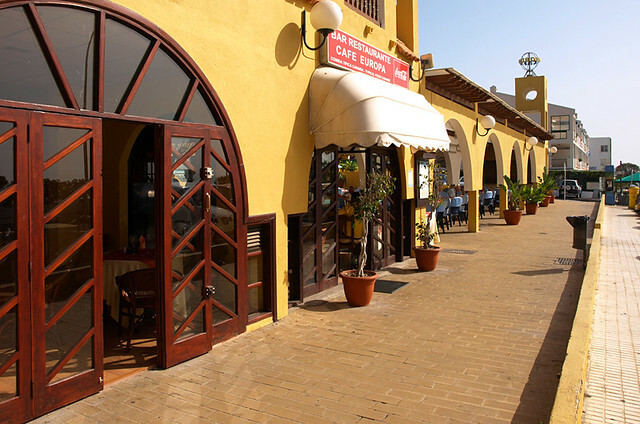 Many restaurants cater for the resort’s British visitors but there are some traditional restaurants and it is the location of the best restaurant on Tenerife. That’s our opinion, but it does have a Michelin star and a chef voted the second best in Spain a few years ago. Mostly relaxed and low key with the resort’s bars aimed at British visitors. The town beach is in a spectacular position, but isn’t the best looking of beaches. Palm Mar almost on the island’s southern tip is purpose built, but it’s more expat residential than resort which means facilities for visitors aren’t as extensive as in other ‘resorts’. What the holiday companies say: Nothing as far as we can see. The gastronomic scene in Palm Mar is on the up with a handful of interesting, modern restaurants. There’s not much, but the Bahia Beach Club is one of the most stylish of its kind on the island and has some interesting events. Beach areas have been ‘created’ at Palm Mar, but it’s not a beach destination. Bad-mouthed by plenty, the reality of Playa de las Américas is not what many might visualise. It’s a purpose built resort which bears no relation to traditional Tenerife. But much of it, especially its southern end, is stylish and fun in a mini Vegas sort of way. There are still areas with bars which are a throwback to the 80s, Costa Adeje has those as well, but when I think of Las Américas it’s dancing fountains, mock Roman columns topped by archers and the Hard Rock Café I see in my mind. If I had to pick one purpose built resort to stay in on Tenerife it would be here. What the holiday companies say: Playa de las Americas is the party capital of the island. Year-round sun and full-on nightlife pull in the Brit crowd, and the duty-free shops and golden beaches don’t do any harm either. Don’t expect traditional gastronomy, but there are plenty of good, modern, international restaurants in Playa de las Americas. It does deserve its reputation as Tenerife’s tourist nightlife capital. Veronicas on the border with Costa Adeje attracts younger visitors and people, usually older people, talk about it as though it’s Sodom and Gomorrah. But there are excellent live music bars as well. Las Américas doesn’t actually have many beaches, but Playa del Camisón is one of the island’s more attractive playas in our view. With surfers, huge sculptures and a couple of excellent beach bars, the coastal walk at Las Américas has a bigger personality than most other resorts. My father-in-law had an apartment here, subsequently we spent a lot of time in this smallish purpose built resort in the south west. It was nearly always sunny when we visited. Playa de la Arena doesn’t have a strong personality. It’s simply a tranquil, pleasant little resort to spend time in. What the holiday companies say: You get all the bars and restaurants you need without the non-stop pace. And with its craggy coastline and mountain views, the place looks pretty good, too. There’s a good mix of Canarian and international restaurants. Low key bars. Not a place for night owls. 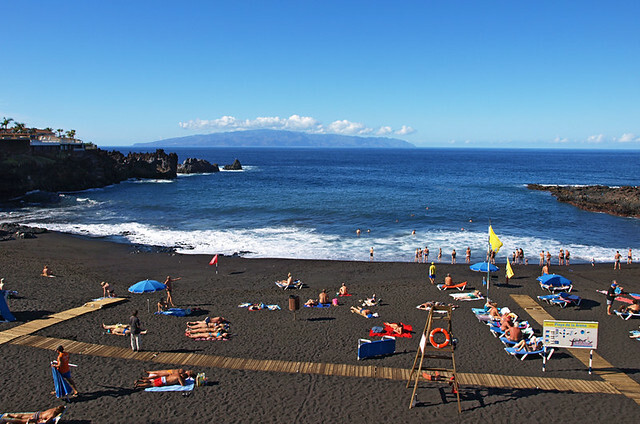 The resort beach is a pretty, black sand affair with views of La Gomera. Ask me a couple of years ago and I’d have described Playa Paraiso as one of the worst resorts on Tenerife; the sort of place which gave people the impression that Tenerife was a naff holiday destination. But the times they are a changin’. There were already a couple of excellent hotels in Playa Paraiso but the opening of the Hard Rock Hotel will prove a real game changer. Outside the hotels at the moment though, not so great. What the holiday companies say: Set on Tenerife’s south west coast, it’s a small, quiet, purpose-built resort where you won’t find much beyond a few restaurants, shops and bars. I’ve enjoyed some really good meals in Playa Paraiso… but only inside its hotels. I’m not a fan of the bars in Playa Paraiso. 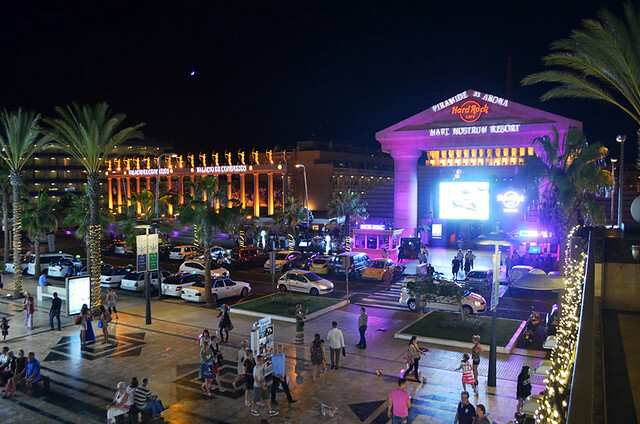 But it’s got the Hard Rock Hotel which throws some great party nights. Playa Paraiso has an attractive little beach below the Roca Nivaria. Playa San Juan is a Canarian town rather than a resort. Although it’s been ‘discovered’ by more and more visitors in the last few years there’s still not much accommodation in the town, with the only hotel being the luxury Abama on the cliffs a short distance away. Good for anyone looking for a traditional place to stay on the south west coast. What the holiday companies say: home to a small harbour and a chic prom. There’s a very good selection of restaurants with traditional and more contemporary Canarian and Spanish cuisine. Local and laid back; not for party people. San Juan has a pretty decent town beach, protected by a harbour which is home to a small fishing fleet. 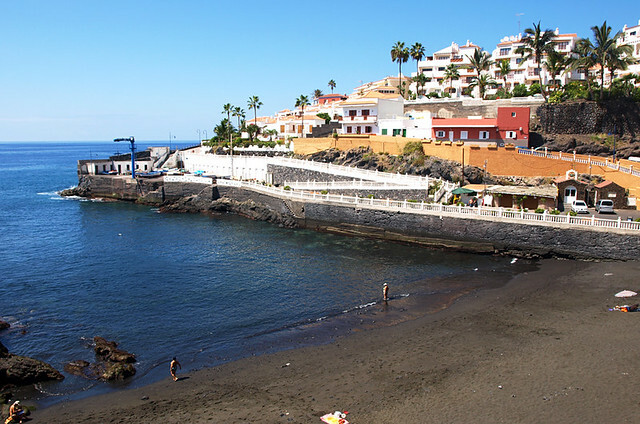 Puerto Santiago gets lost between the neighbours it joins on to – Los Gigantes and Playa de la Arena. In reality it’s the most Canarian of the trio with local fiestas taking place in its centre, although because it’s a bit spread out it can be difficult to tell where that centre is. 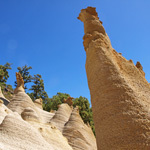 What the holiday companies say: Behind it are brooding 500-metre-high dark cliffs. In front is a bijou beach of black volcanic sand. 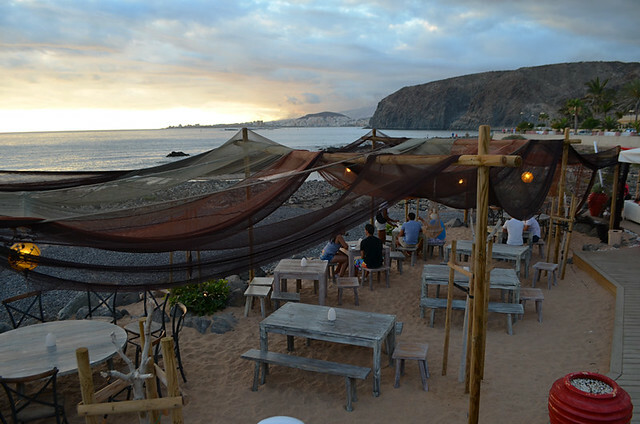 A varied mix of good restaurants with menus featuring Canarian and crowd-pleasing international fare. I think of Puerto Santiago and I think of Route 66 which is often bouncing and whose live bands are good enough to entice people away from their all inclusive hotels. Puerto Santiago has a nice black sand beach, but I’ve rarely seen many visitors on it. More bite-sized descriptions of Tenerife’s towns and resorts for the north and east of the island will be coming soon. 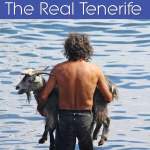 Our Real Tenerife guidebook features a far more detailed overview of Tenerife’s towns and resorts including history, beaches, attractions and restaurant and hotel recommendations. Hi. It looks like you visited many areas but do you have any opinion or recommendations to Santa Cruz and Puerto De la Cruz? Thank you in advance. Thanks for this Sarah, the south and south west was the first in the series and your comment reminded me we hadn’t added links to the south east, east (inc Santa Cruz) and north ones (with Puerto de la Cruz). The links are now added at the end of the article.